Are you looking for a beautiful neighborhood with new homes starting from the 200’s? 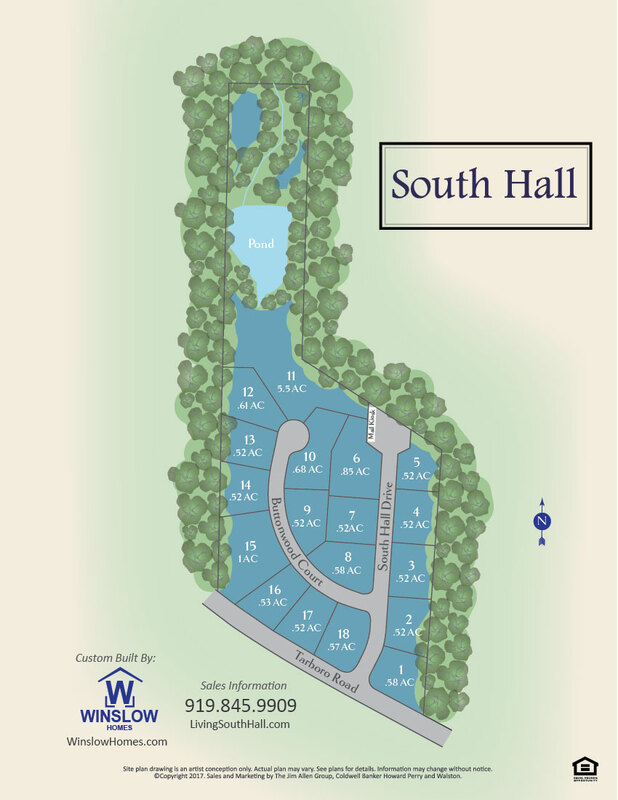 Look no further than South Hall by Winslow Homes! Enjoy Beautiful ½ -1 acre lots sprawling over rolling hills with new homes that have more detail than you can imagine! Enjoy wonderful trim packages, screened-in porches, Energy Star Certified new Homes… and more! 18 Lots won’t last long! Get started by reserving your lot today! With over 10 years of experience, Winslow Homes has been finding residents living in the Triangle area and matching them up with their dream home. Winslow Homes is customer oriented and strives to make your customer experience a smooth remember. It’s very exciting to build homes for people that will celebrate the best of time and create lasting memories. We know that the house of your dreams isn’t just a house, but a place to make lasting memories with your family. Winslow Homes is a Certified ENERGY STAR Builder located in the Triangle Area of North Carolina. They specialize in energy efficient homes and use the latest building technology to give our clients the most in energy savings, without sacrificing quality or those special touches that define a Winslow Home.